A new born baby boy was found in a dust bin after being abandoned and left for dead. 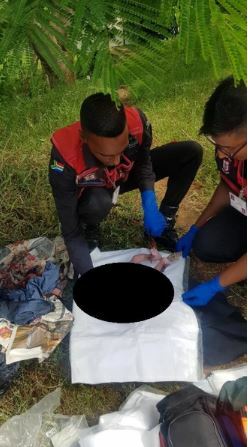 On Monday afternoon, members of the Reaction Unit South Africa were called to the scene at Verulam KwaZulu Natal by a member of the public. The person reportedly heard a child crying inside the bin packet. “Upon opening the bag he discovered the child wrapped in a denim dress,” RUSA spokesperson Prem Balram said. When the RUSA team arrived at the location paramedics reportedly cut the umbilical cord which was still attached to the placenta. “The child was examined and appears to be in good health. He will be transported to hospital for further medical evaluation,” Balram said. Balram said the RUSA team is currently following up on information regarding the child’s mother. 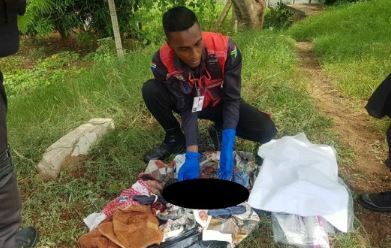 The post Photo Of A Baby Being Rescued After Being Dumped To Die appeared first on Naijaloaded | Nigeria's Most Visited Music & Entertainment Website.